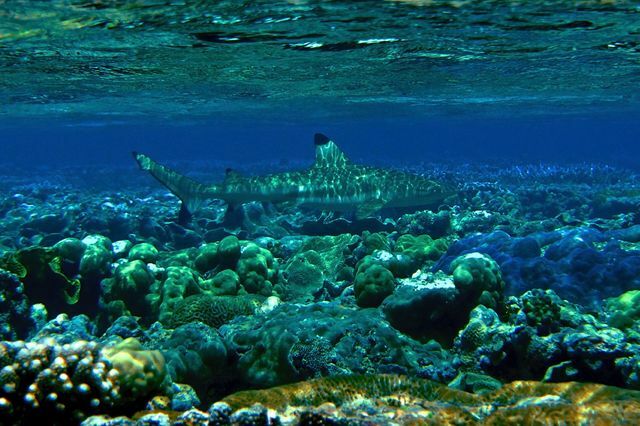 A blacktip reef shark is among fish that inhabit coral reefs off American Samoa. 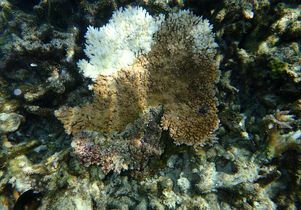 Bleaching events are threatening reefs, a major source of food for more than a billion people worldwide. As the world’s oceans heat up with climate change, coral reefs are increasingly under threat. Bleaching events — defense mechanisms against high temperatures that turn corals white — have become more frequent. A coral colony that bleached during the 2015 El Niño event. 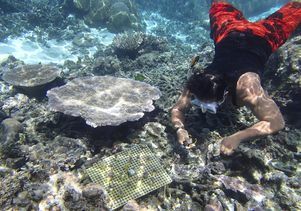 An assistant to the National Park Service on Ofu, American Samoa, helps to transplant corals. 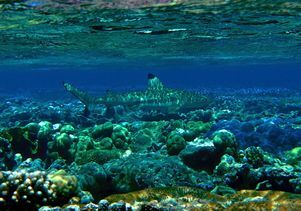 A reef shark off the coast of American Samoa. A coral colony from the study that bleached during the 2015 El Niño event. 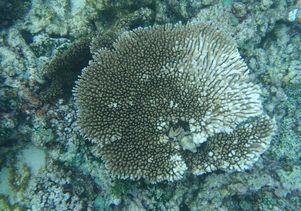 An assistant to the National Park Service on Ofu, American Samoa, helps transplant corals. 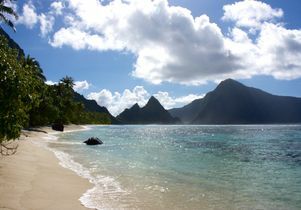 Landscapes view of the island of Ofu, American Samoa.